37South would like to sincerely thank our clients for your business throughout 2018. The last date for shipment of ex. stock goods will be Friday 21st December 2018. We will be closed from 5:00 PM Friday 21st December 2018 and will re-open at 9:00 AM Monday 14th January 2019. During this period no orders will be processed. We wish you and your families a very Merry Christmas and a safe and Happy New Year in 2019! Includes Sample / Default device configurations. 37South will be exhibiting our Site Sentinel® and Metermade® products and accessories to visitors and delegates at the 81st annual WIOA Victoria Conference to be held at the Bendigo Exhibition Centre on 5th and 6th September 2018 . 37South will be exhibiting our Site Sentinel® and Metermade® products and accessories to delegates at the Australian Water Association Where the Waters Meet 2018 Annual Conference. ONLINE ORDERING NOW AVAILABLE ! Don’t have a trading account with us? Need to order an Accessory or Consumable item in a hurry and don’t have time to get a quote and raise a purchase order? 37South now provides an ONLINE STORE for the purchase of Site Sentinel® and Metermade® Accessories. We aim to ship all web orders the same day! – Order by noon for same day shipment of in-stock items. 37South will be exhibiting our Site Sentinel® and Metermade® products and accessories to visitors and delegates at the 43rd WIOA QLD Conference to be held at the Logan Metro Sports Centre on the 6th and 7th June 2018. Come and see our equipment on display with Automation Group at Stand Number 56. First Sigfox enabled Monitoring bollard – A case study to better monitor Storm Water Outlets. The solution designed by Melbourne Water in conjunction with 37South is built inside a bollard. The first one has been installed to monitor a notorious storm water pipe at Rosebud beach (on the Mornington Peninsula, Victoria) which is known to backup and cause flooding on local streets. The solution uses a Site Sentinel X1 Sigfox equipped logger, a high resolution ultrasonic level sensor and a specially designed bollard housing with integrated solar panel. 37South will be exhibiting our Site Sentinel® and Metermade® products and accessories to visitors and delegates at the IoT Asia Conference to be held at the Singapore EXPO Convention and Exhibition Centre on 21st and 22nd March 2018. On the 13th of March 2018, 37South achieved a significant milestone of celebrating 10 years in business. The management and staff at 37South would like to thank all of our customers for their business and continued support of our company and our Australian Made, Utility grade Site Sentinel® and Metermade® data logging products. It has certainly been an exciting 10 years working alongside customers developing and deploying our products in a variety of applications, we look forward to the next ten years, with 2018 already shaping up to be a year noted for many new and innovative deployment applications. 37South will be exhibiting our Site Sentinel® and Metermade® products and accessories to visitors and delegates at the 12th WIOA NSW Conference to be held at the Tamworth Regional Entertainment and Conference Centre (TRECC) on 11th and 12th April 2018 . 37South would like to sincerely thank our clients for your business throughout 2017. The last date for shipment of ex. stock goods will be Friday 22nd December 2017. We will be closed from 5:00 PM Friday 22nd December 2017 and will re-open at 9:00 AM Monday 15th January 2018. During this period no orders will be processed. We wish you and your families a very Merry Christmas and a safe and Happy New Year in 2018! 37South is pleased to release our flagship Site Sentinel® X1 Logger and Metermade® N1/N3 Metering products with the option of a Sigfox Compliant radio communications module. 37South is the first Australian designer and manufacturer of Low Power Cellular / DNP3 Data Logging equipment to make a certified Sigfox radio communications option available. This new option provides support for Sigfox RCZ4 region, covering networks in Australia, New Zealand, South East Asia and South America. Contact 37South directly for more information on this exciting new product capability. 37South will be exhibiting our Site Sentinel® and Metermade® products and accessories to visitors and delegates at the 80th annual WIOA Victoria Conference to be held at the Bendigo Exhibition Centre on 6th and 7th September 2017 . 37South will be exhibiting our Site Sentinel® and Metermade® products and accessories to visitors and delegates at the 42nd WIOA Queensland Conference to be held at the Logan Metro Sports Centre 7th and 8th June2017 . 37South will be exhibiting our Site Sentinel® and Metermade® Products and Accessories at Ozwater’17. Be sure to pay us a visit at Australia’s premiere water industry exhibition – Stand C17. International Convention Centre, Darling Harbour, Sydney. Go to: https://37s.com.au/downloads/ to download updated files and release notes. 37South will be exhibiting our Site Sentinel® and Metermade® products and accessories to visitors and delegates at the 11th Annual WIOA Conference to be held at Exhibition Park in Canberra (EPIC) on 29 & 30 March 2017 . 37South is pleased to announce that Automation Group is now the Authorized distributor of Site Sentinel® and Metermade® products throughout the N.T. 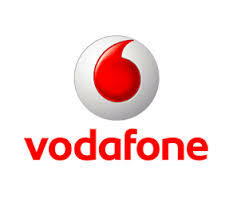 Please click HERE to be directed to the Distributor page to obtain Automation Group’s contact details. Does your deployment application require Modbus Master connectivity? Ultra-simple, point-and-click configuration of Modbus I/O data from your downstream device. Support for Read and Write of Modbus I/O data points with automatic generation of upstream DNP3 I/O object mapping and object type / grouping. Available across many Site Sentinel® and Metermade® product variants, our Modbus Master driver supports RS232 and true 2-wire RS485 multi-drop operation. Contact 37South today to discuss your Modbus interfacing requirements. Has your Business been Caught? National 2G GSM Network Shutdown has commenced from 1st December 2016 with the Telstra 2G netowrk now shutdown. Contact 37South today to discuss your legacy 2G GSM Data Logger upgrades and risk mitigation strategies. 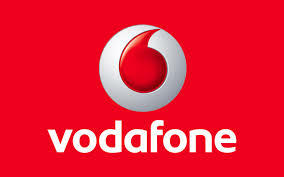 Live product testing in Fiji has demonstrated compatibility with the Vodafone 3G cellular network service. Live product testing in Auckland has demonstrated compatibility with all cellular network service providers. 37South will be exhibiting our Site Sentinel® and Metermade® products and accessories to visitors and delegates at the 79th Annual WIOA Conference to be held at Bendigo showgrounds on 31st August and 1st September 2016. Automation Group will be exhibiting our Site Sentinel® and Metermade® products and accessories to visitors and delegates at the Annual WIOA QLD Conference to be held at CQ University – 1st and 2nd June 2016. This operational configuration example provides a fully populated Outstation, Channel and Outstation Set. Minimise your time to happiness and download this FREE Engineering Configuration Project today! 37South will be exhibiting our Site Sentinel® and Metermade® products and accessories to visitors and delegates at the Ozwater Conference to be held at the Melbourne Exhibition Building – 10-12th May 2016. Automation Group will be exhibiting our Site Sentinel® and Metermade® products and accessories to visitors and delegates at the 10th Annual WIOA NSW Conference to be held at the Newcastle Jockey Club – 6th and 7th April 2016. National 2G GSM Network Shutdown to occur from 1st December 2016. 37South will be presenting our Site Sentinel® and Metermade® products and accessories to NSW customers in Newcastle. 37South will be presenting our Site Sentinel® and Metermade® products and accessories to participants of the annual Automation Group User Conference to be held in Brisbane on 28th & 29th October 2015. 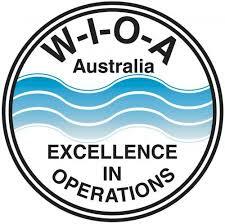 37South will be exhibiting our Site Sentinel® and Metermade® products and accessories to visitors and delegates at the 77th Annual WIOA Conference to be held at Bendigo showgrounds on 2nd & 3rd September 2015. 37South Pty. Ltd. is proud to announce that Tamar Hydro Pty. Ltd. has been appointed as the Tasmanian distributor for our Site Sentinel® and Metermade® products.